This is Part 3 of the tutorial on implementing a YOLO v3 detector from scratch. In the last part, we implemented the layers used in YOLO's architecture, and in this part, we are going to implement the network architecture of YOLO in PyTorch, so that we can produce an output given an image. Our objective will be to design the forward pass of the network. Part 1 and Part 2 of the tutorial. As I've pointed out earlier, we use nn.Module class to build custom architectures in PyTorch. Let us define a network for our detector. In the darknet.py file, we add the following class. Here, we have subclassed the nn.Module class and named our class Darknet. We initialize the network with members, blocks, net_info and module_list. 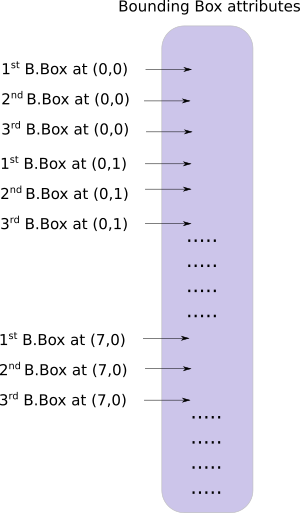 The forward pass of the network is implemented by overriding the forward method of the nn.Module class. forward serves two purposes. First, to calculate the output, and second, to transform the output detection feature maps in a way that it can be processed easier (such as transforming them such that detection maps across multiple scales can be concatenated, which otherwise isn't possible as they are of different dimensions). forward takes three arguments, self, the input x and CUDA, which if true, would use GPU to accelerate the forward pass. Here, we iterate over self.blocks[1:] instead of self.blocks since the first element of self.blocks is a net block which isn't a part of the forward pass. As was the case with create_modules function, we now iterate over module_list which contains the modules of the network. The thing to notice here is that the modules have been appended in the same order as they are present in the configuration file. This means, we can simply run our input through each module to get our output. If the module is a convolutional or upsample module, this is how the forward pass should work. If you look the code for route layer, we have to account for two cases (as described in part 2). For the case in which we have to concatenate two feature maps we use the torch.cat function with the second argument as 1. This is because we want to concatenate the feature maps along the depth. (In PyTorch, input and output of a convolutional layer has the format `B X C X H X W. The depth corresponding the the channel dimension). The output of YOLO is a convolutional feature map that contains the bounding box attributes along the depth of the feature map. The attributes bounding boxes predicted by a cell are stacked one by one along each other. So, if you have to access the second bounding of cell at (5,6), then you will have to index it by map[5,6, (5+C): 2*(5+C)]. This form is very inconvenient for output processing such as thresholding by a object confidence, adding grid offsets to centers, applying anchors etc. Another problem is that since detections happen at three scales, the dimensions of the prediction maps will be different. Although the dimensions of the three feature maps are different, the output processing operations to be done on them are similar. It would be nice to have to do these operations on a single tensor, rather than three separate tensors. The function predict_transform lives in the file util.py and we will import the function when we use it in forward of Darknet class. predict_transform function takes an detection feature map and turns it into a 2-D tensor, where each row of the tensor corresponds to attributes of a bounding box, in the following order. Here's the code to do the above transformation. The dimensions of the anchors are in accordance to the height and width attributes of the net block. These attributes describe the dimensions of the input image, which is larger (by a factor of stride) than the detection map. Therefore, we must divide the anchors by the stride of the detection feature map. Now, we need to transform our output according to the equations we discussed in Part 1. Sigmoid the x,y coordinates and the objectness score. Add the grid offsets to the center cordinates prediction. Apply the anchors to the dimensions of the bounding box. The last thing we want to do here, is to resize the detections map to the size of the input image. The bounding box attributes here are sized according to the feature map (say, 13 x 13). If the input image was 416 x 416, we multiply the attributes by 32, or the stride variable. That concludes the loop body. Return the predictions at the end of the function. Now that we have transformed our output tensors, we can now concatenate the detection maps at three different scales into one big tensor. Notice this was not possible prior to our transformation, as one cannot concatenate feature maps having different spatial dimensions. But since now, our output tensor acts merely as a table with bounding boxes as it's rows, concatenation is very much possible. An obstacle in our way is that we cannot initialize an empty tensor, and then concatenate a non-empty (of different shape) tensor to it. So, we delay the initialization of the collector (tensor that holds the detections) until we get our first detection map, and then concatenate to maps to it when we get subsequent detections. Notice the write = 0 line just before the loop in the function forward. The write flag is used to indicate whether we have encountered the first detection or not. If write is 0, it means the collector hasn't been initialized. If it is 1, it means that the collector has been initialized and we can just concatenate our detection maps to it. Now, that we have armed ourselves with the predict_transform function, we write the code for handling detection feature maps in the forward function. At the top of your darknet.py file, add the following import. Then, in the forward function. if not write:              #if no collector has been intialised. Now, simply return the detections. Here's a function that creates a dummy input. We will pass this input to our network. Before we write this function, save this image into your working directory . If you're on linux, then type. You will see an output like. At this point, our network has random weights, and will not produce the correct output. We need to load a weight file in our network. We'll be making use of the official weight file for this purpose. The official weights file is binary file that contains weights stored in a serial fashion. Extreme care must be taken to read the weights. The weights are just stored as floats, with nothing to guide us as to which layer do they belong to. If you screw up, there's nothing stopping you to, say, load the weights of a batch norm layer into those of a convolutional layer. Since, you're reading only floats, there's no way to discriminate between which weight belongs to which layer. Hence, we must understand how the weights are stored. 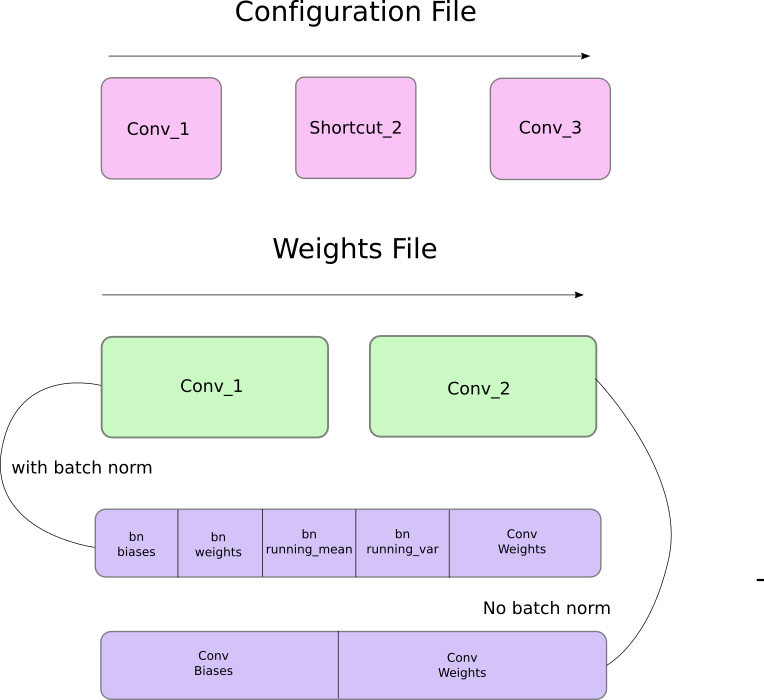 First, the weights belong to only two types of layers, either a batch norm layer or a convolutional layer. The weights for these layers are stored exactly in the same order as they appear in the configuration file. 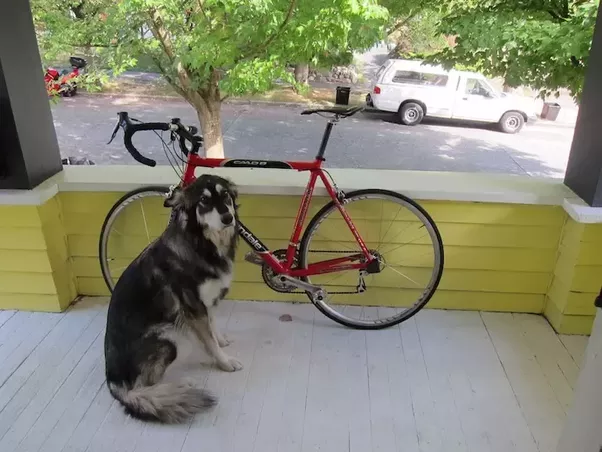 So, if a convolutional is followed by a shortcut block, and then the shortcut block by another convolutional block, You will expect file to contain the weights of the previous convolutional block, followed by those of the latter. When the batch norm layer appears in a convolutional block, there are no biases. However, when there's no batch norm layer, bias "weights" have to read from the file. The following diagram sums up how the weight stores the weights. Let us write a function load weights. It will be a member function of the Darknet class. It'll take one argument other than self, the path of the weightsfile. The first 160 bytes of the weights file store 5 int32 values which constitute the header of the file. The rest of bits now represent the weights, in the order described above. The weights are stored as float32 or 32-bit floats. Let's load rest of the weights in a np.ndarray. Now, we iterate over the weights file, and load the weights into the modules of our network. Into the loop, we first check whether the convolutional block has batch_normalise True or not. Based on that, we load the weights. We keep a variable called ptr to keep track of where we are in the weights array. Now, if batch_normalize is True, we load the weights as follows. #Cast the loaded weights into dims of model weights. If batch_norm is not true, simply load the biases of the convolutional layer. Finally, we load the convolutional layer's weights at last. We're done with this function and you can now load weights in your Darknet object by calling the load_weights function on the darknet object. That is all for this part, With our model built, and weights loaded, we can finally start detecting objects. In the next part, we will cover the use of objectness confidence thresholding and Non-maximum suppression to produce our final set of detections.